Love the tart goodness of blood oranges? They make the perfect margarita! 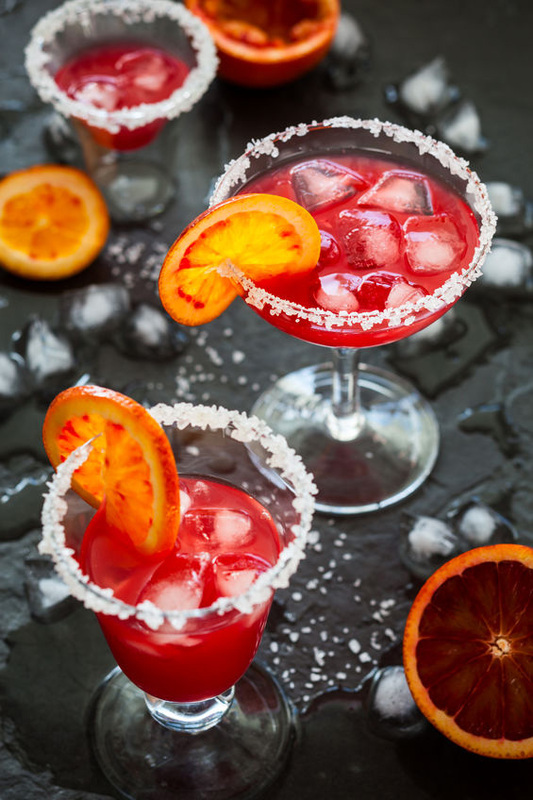 Blood Orange Margaritas on the Rocks can’t be beat! If you took me to the bar right now and I could drink all I wanted of absolutely anything, I’d go for a margarita every single time. There’s something about the salty, sweet, sourness that just makes me happy. And the tequila doesn’t hurt, either! 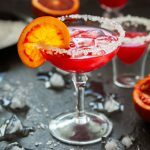 Blood oranges lend themselves so well to the flavors of a margarita because of the almost bitterness that it brings to the table. 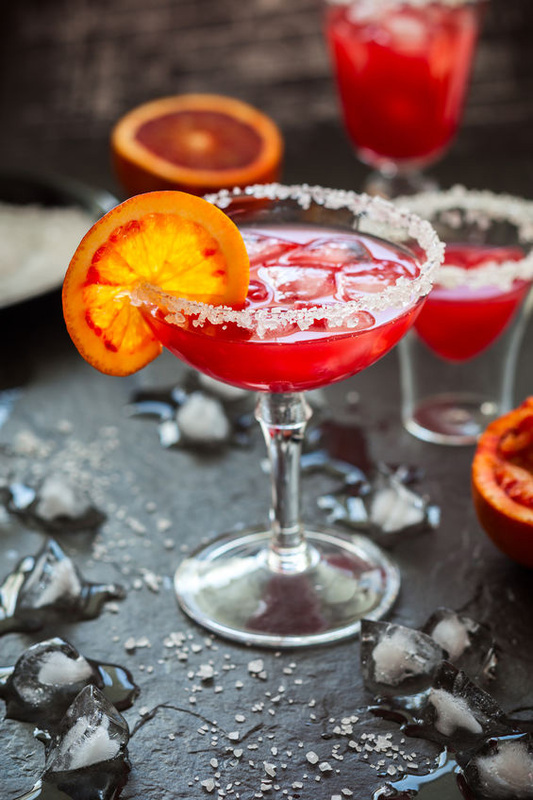 Since they are a more sour version of oranges, it definitely works well when you’re making blood orange margaritas – especially on the rocks! Once upon a time it was kind of difficult to find them, but these days I’ve seen them everywhere from Whole Foods to Walmart. Which makes things happier for my tummy! In a cocktail shaker filled 1/2 way with ice, add in the juices, simple syrup, triple sec, and tequila. Shake for 20-30 seconds until good and cold. Using one of the limes (there’s usually enough left), go around the rim of the glass then dip into the salt. Put a few cubes into the glass, then pour the strained margarita into the glass. Garnish with a slice of blood orange and enjoy! I could do with one of these after the day i’ve had! I love blood orange drinks. A local restaurant used to serve a Habanero Blood Orange Margarita. I asked the bartender for the recipe when they stopped carrying it. It’s pretty much the same recipe but uses a habanero pepper. Slice one pepper in half (carefully) and let it sit in the tequila for a few minutes. Usually only 10 for me since I’m weak! 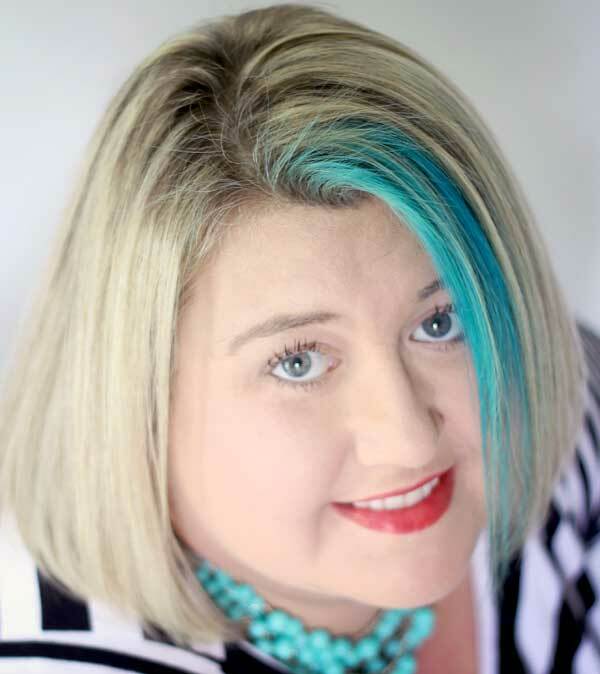 Wow Jennifer, that sounds yummy….but spicy! Gina, these colours look absolutely amazing. Definitely going to be served at one of my parties through the summer. Glad you like it Shaun, it is delicious as well as pretty! 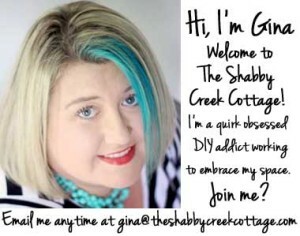 Gina, I’m coming to visit! Get those ready, girl! LOL, they are so good Joy!! !